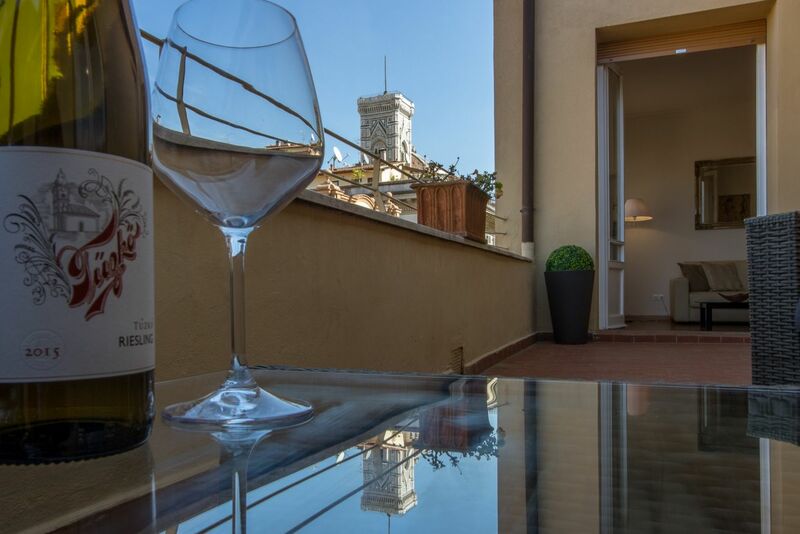 Essential, comfortable style with a special eye for design and a marvellous panoramic terrace: this apartments is a true catch! 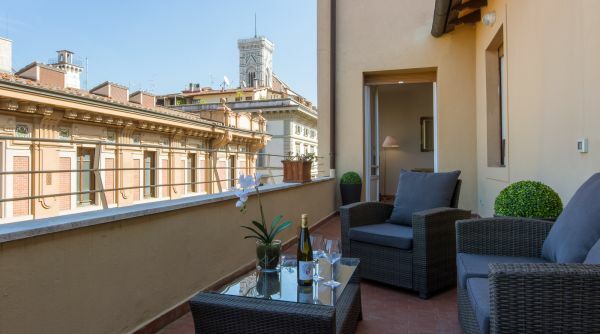 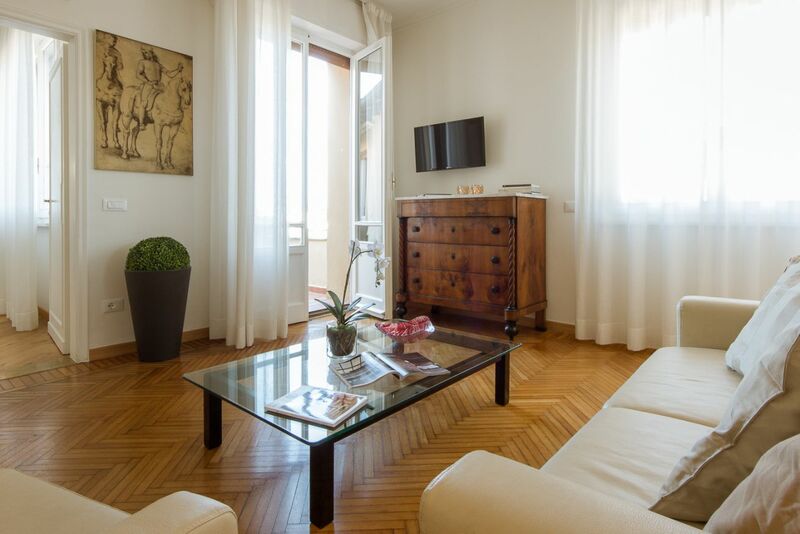 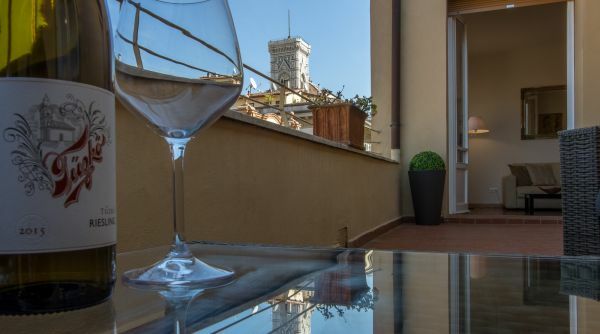 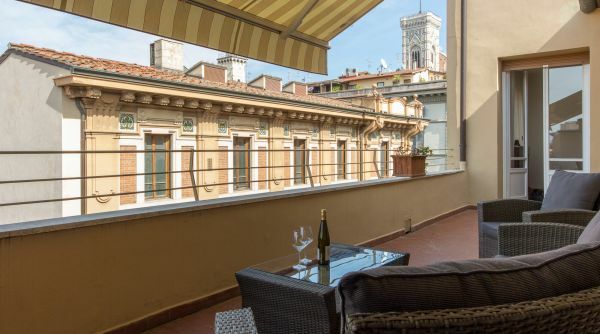 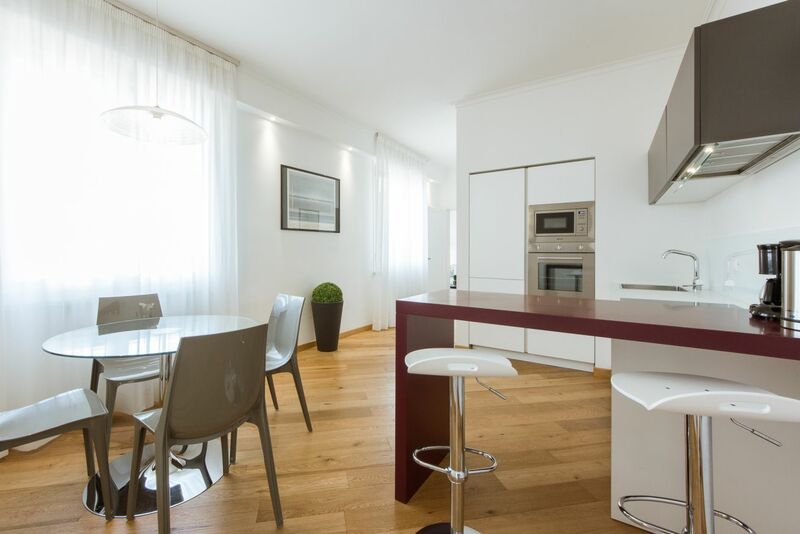 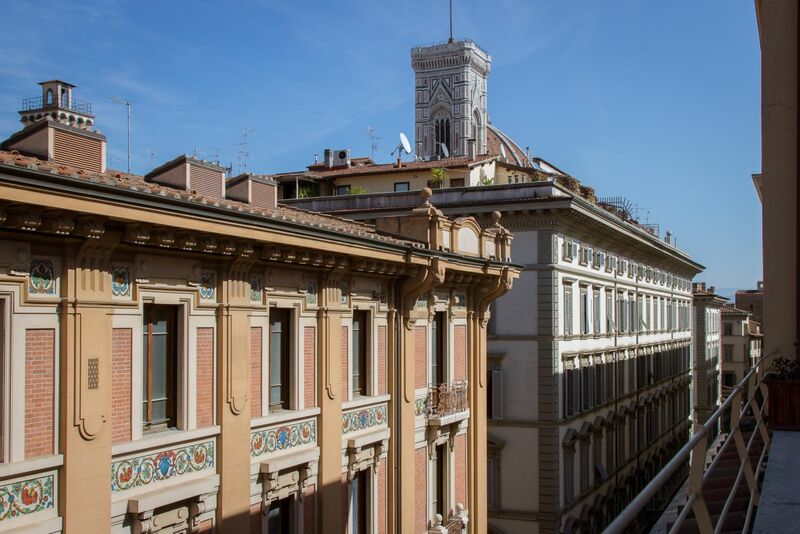 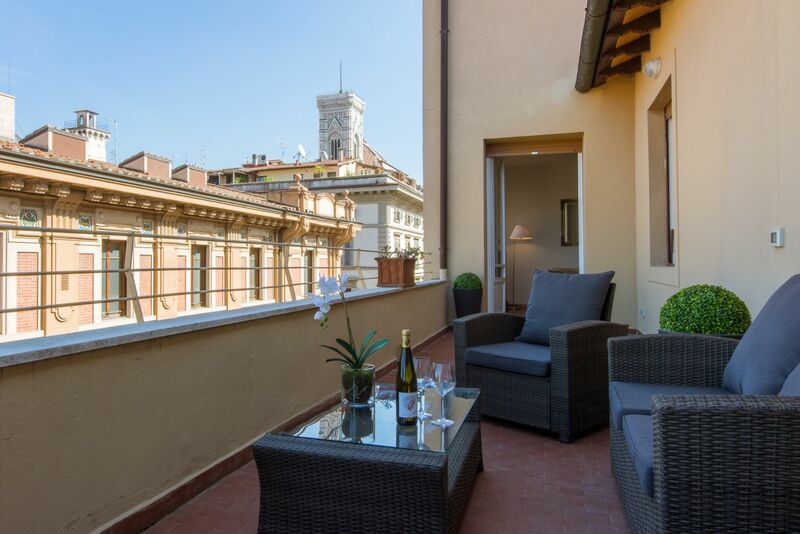 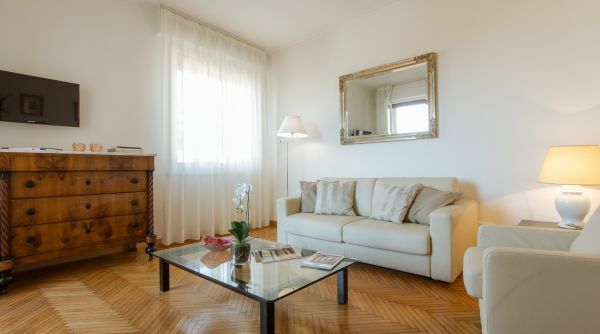 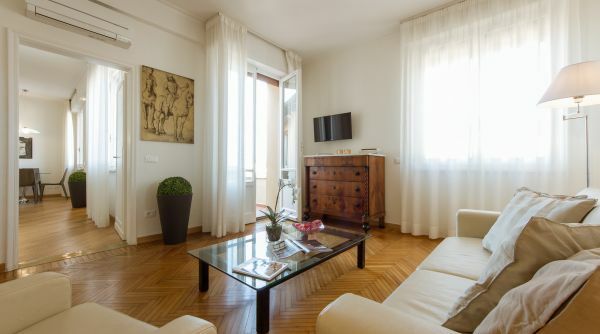 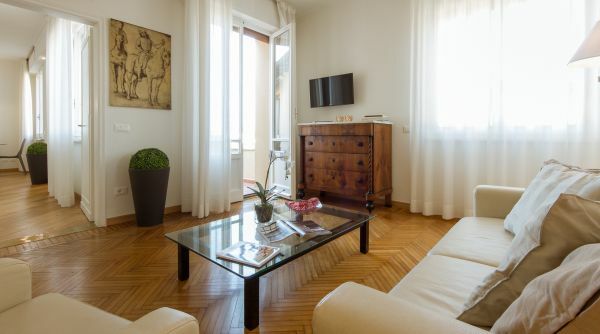 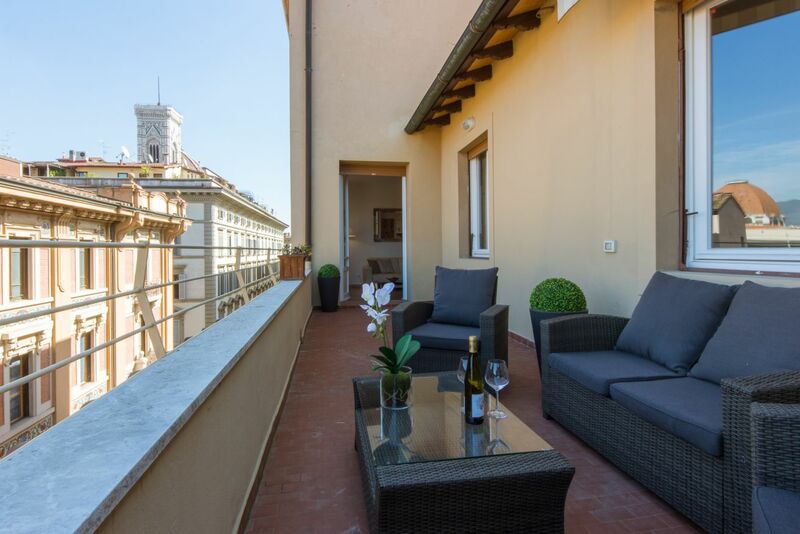 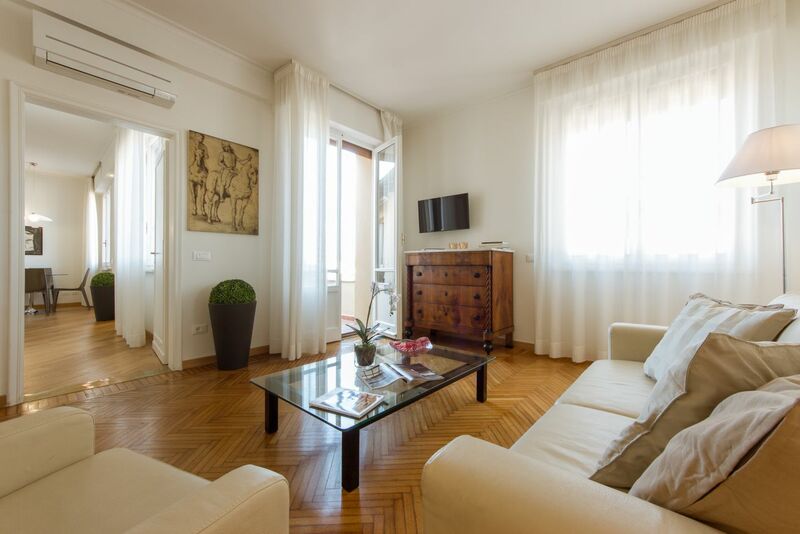 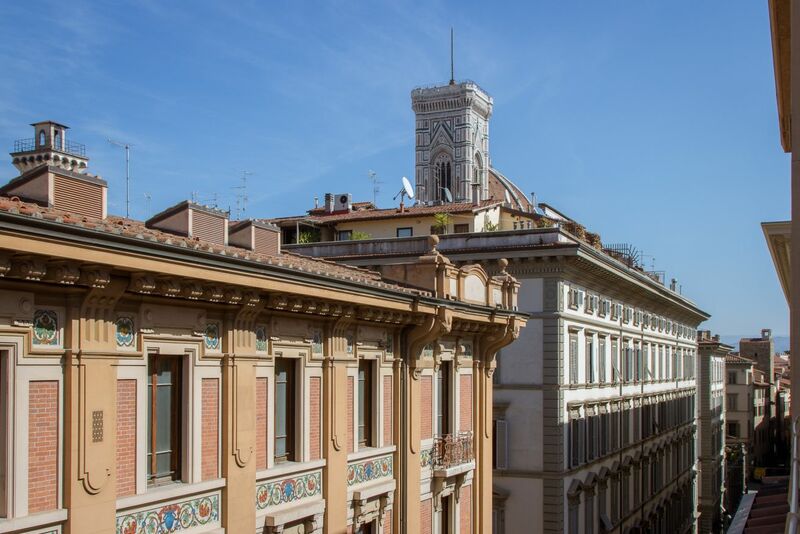 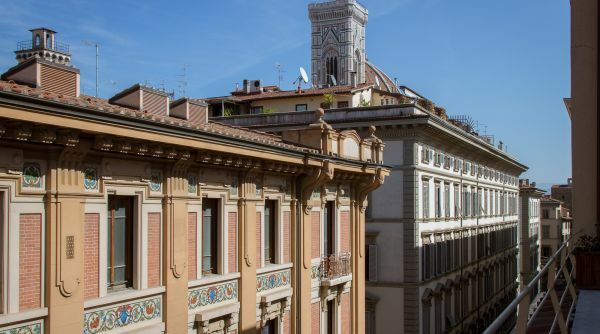 This gorgeous apartment is located in the heart of Florence, on the fifth floor of a historical building in Via dei Brunelleschi, very elegant street just off Piazza della Repubblica. 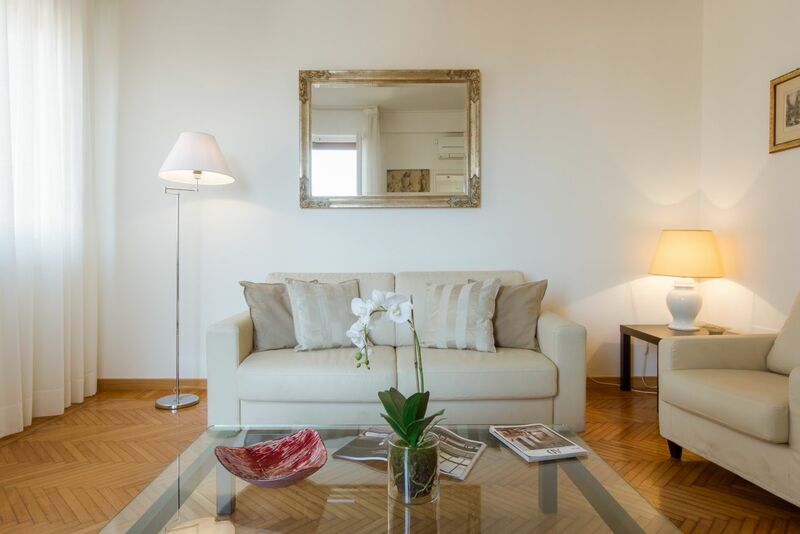 The whole place has been newly renovated and decorated with attention to detail and a special eye for design furniture and comforts. 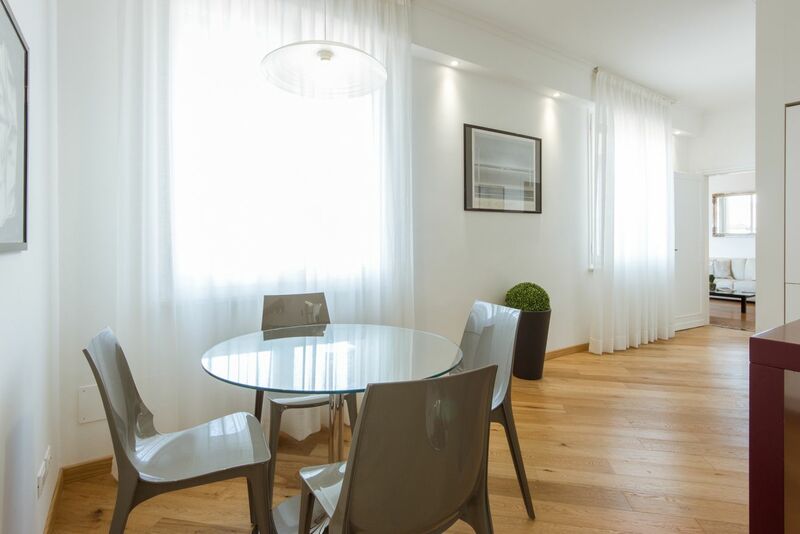 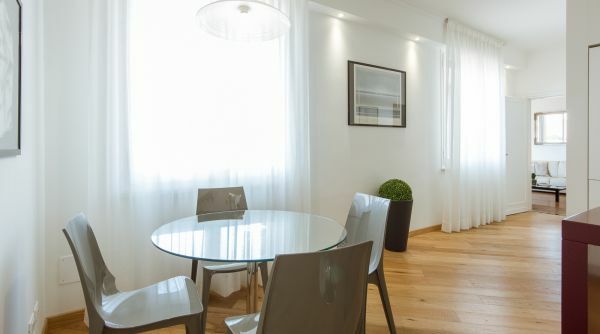 Natural light brightens up the whole apartment, thanks to the many large windows, and combined with the light wooden floors and the simple and bright colour palette chosen for the furniture creates a warm, airy and welcoming atmosphere. 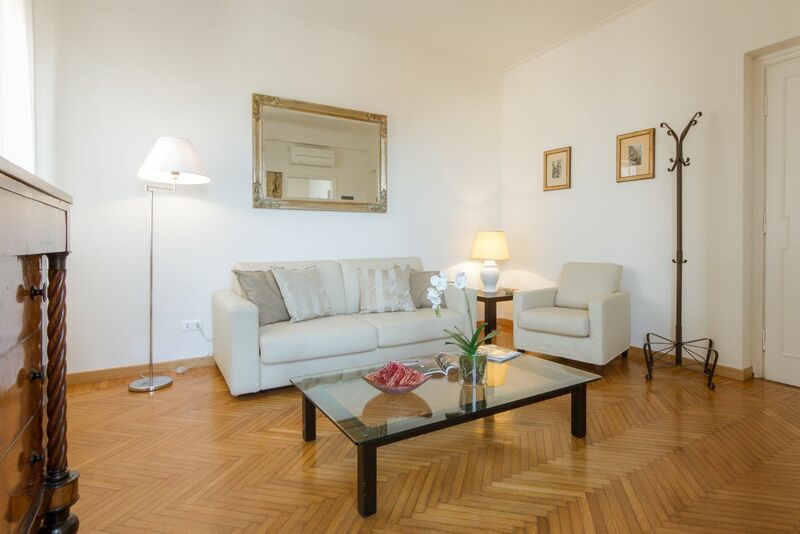 This apartment can accommodate up to four people thanks to the double bedroom and the sofa bed in the living room. 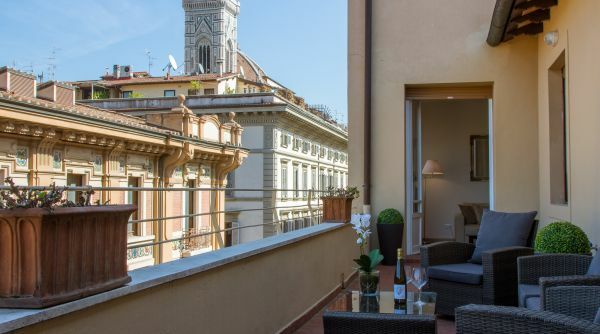 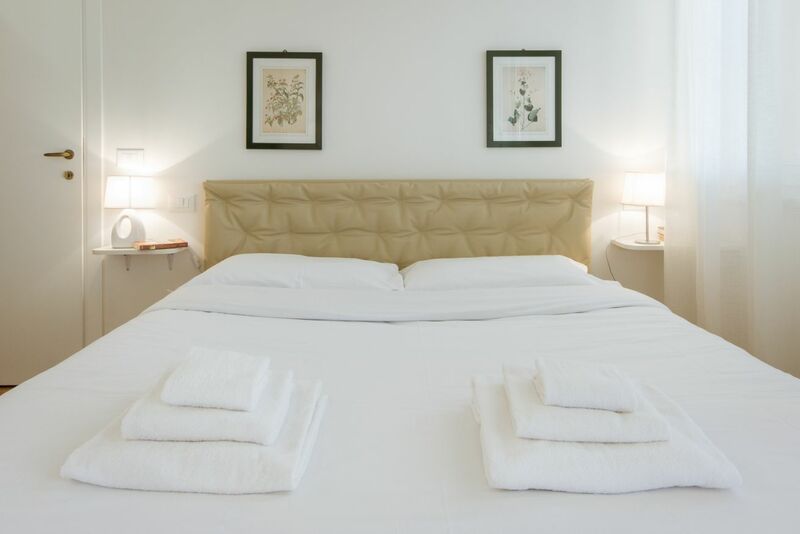 The living room, luminous and classy, features a comfortable sofa-bed, flat screen TV and dresser, and has access to the stunning outdoor terrace: a rooftop view over Florence's skyline, with its monuments and historical palaces, which you'll almost feel you can touch! 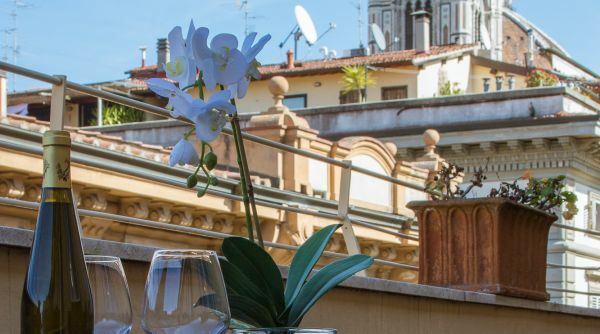 The terrace is very spacious and equipped with outdoor furniture such as armchairs and table, creating an ideal spot for an evening gathering or an aperitivo. 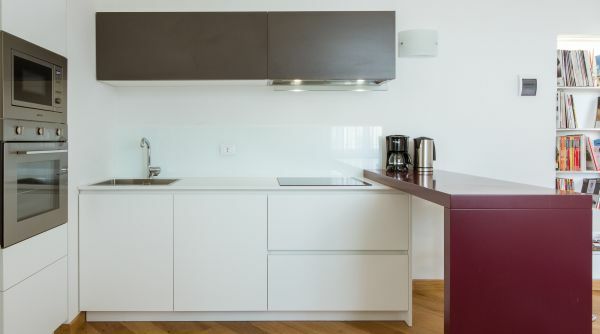 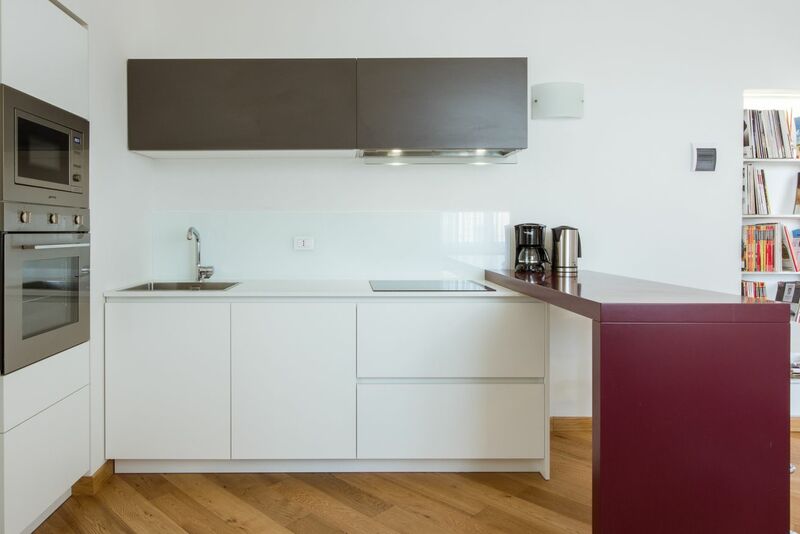 The moving on to the luminous kitchen, we find a marvellous design dining table and a fully equipped kitchenette, featuring a comfy breakfast counter and all amenities such as stove, microwave, oven, fridge and anything you may need to cook your favourite pasta during your Florentine stay. 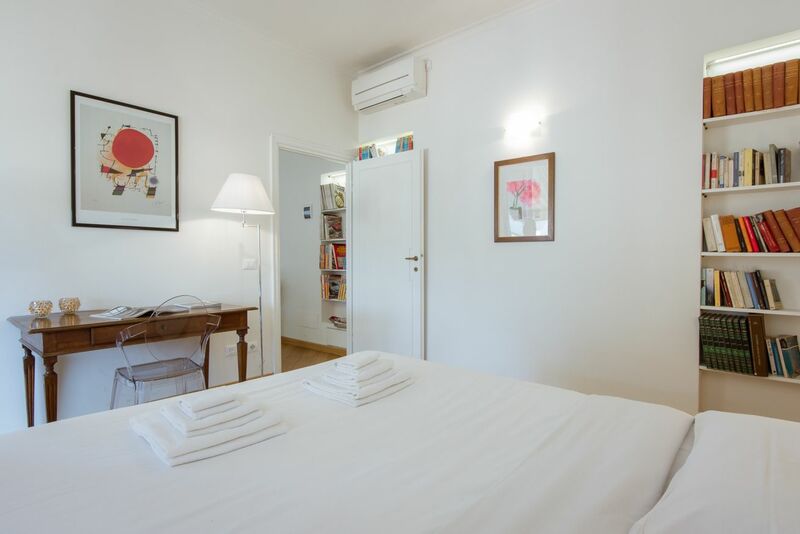 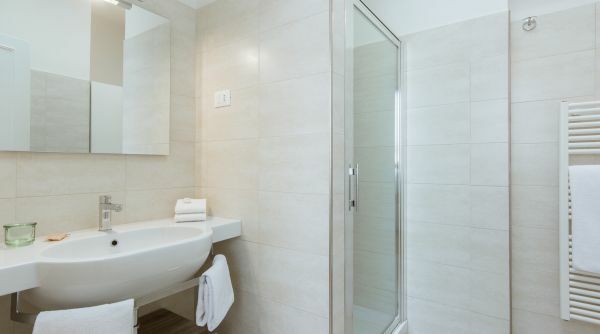 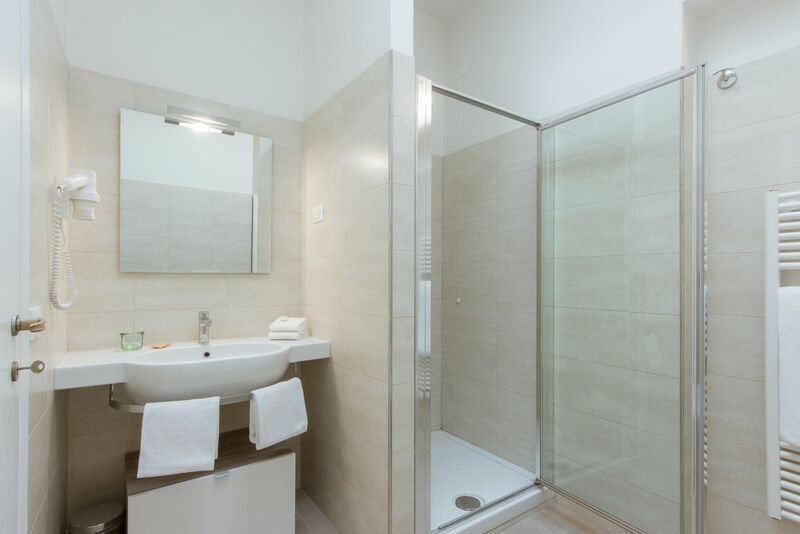 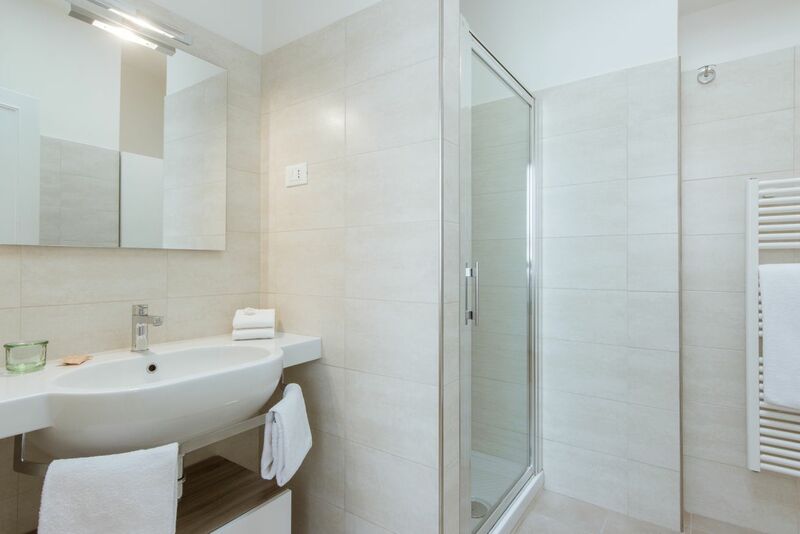 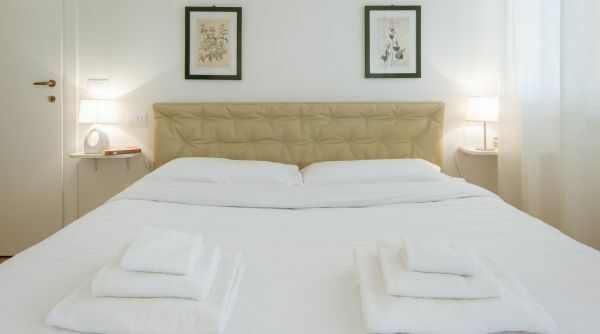 From the kitchen you'll enter the beautiful spacious bedroom, also very bright, equipped with a comfortable queen size bed and desk, and also featuring a modern, newly renovated bathroom with shower and laundry facilities. 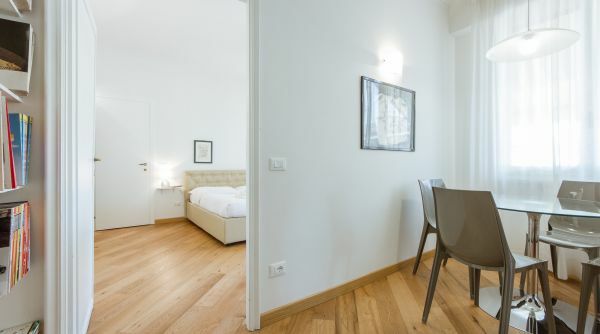 The bedroom also has access to the outdoor terrace. 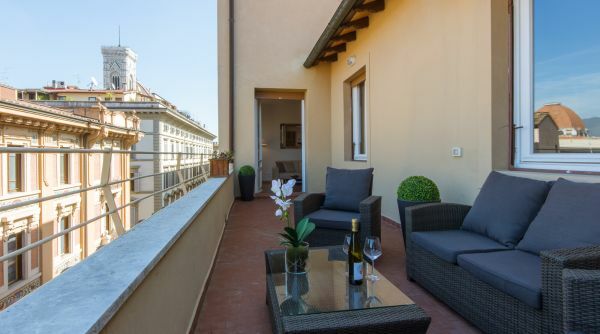 This wonderful apartment is the ideal location for a couple traveling in Florence and looking for a stylish and well located apartment: its wonderful interior design details, its prime choice amenities, its wonderful location and last but not least the breathtaking panoramic terrace, are all reasons why this apartment is a top choice for your stay in Florence. 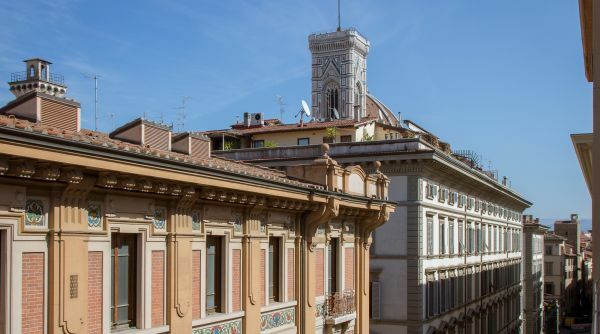 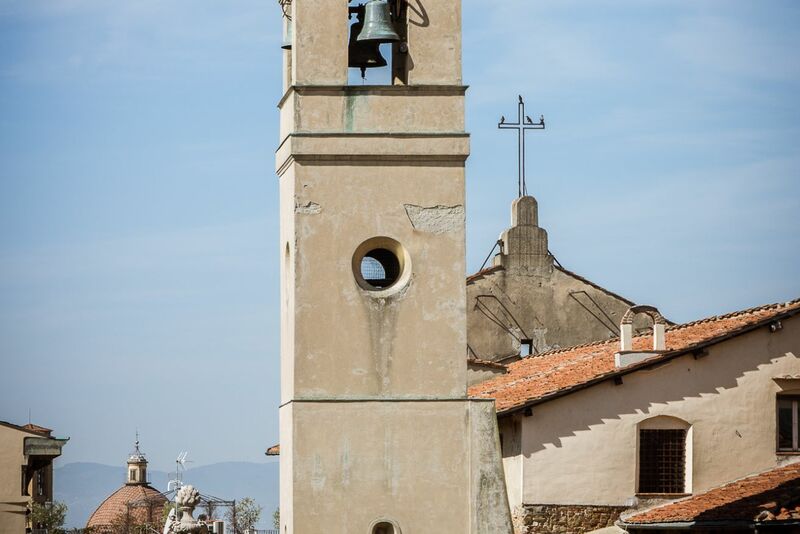 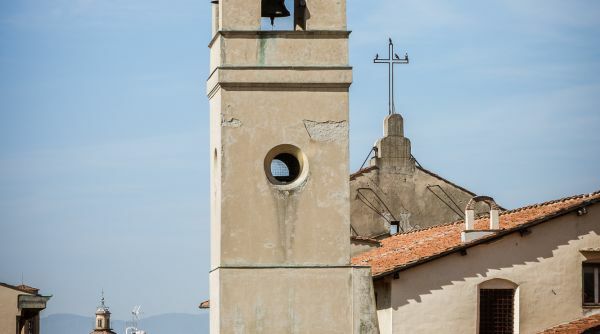 From here, all of Florence's attractions and landmarks are just a short walk away: the Duomo, Piazza della Repubblica, Via Tornabuoni, Palazzo Vecchio and the Uffizi are just around the corner, in a neighbourhood filled with chic cafès, shops, restaurants and museums. 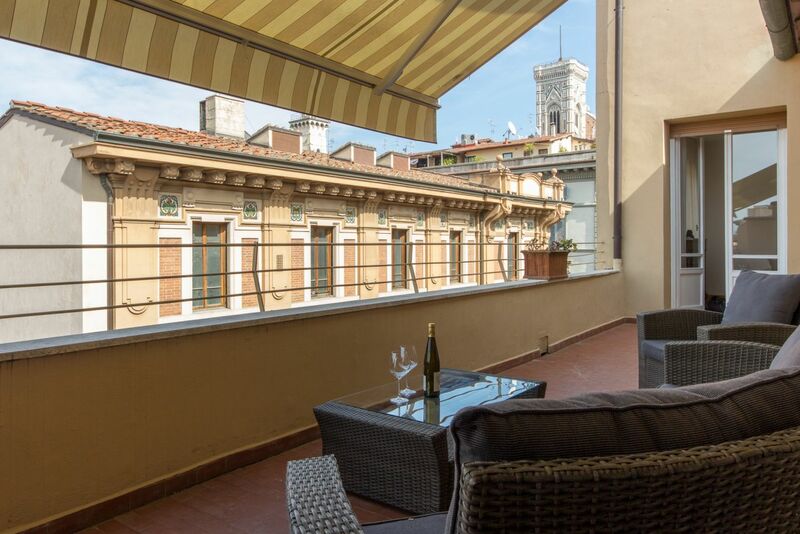 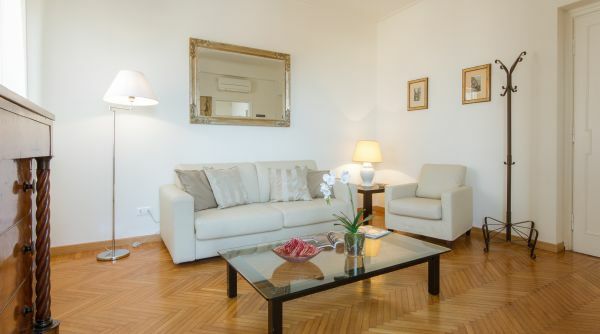 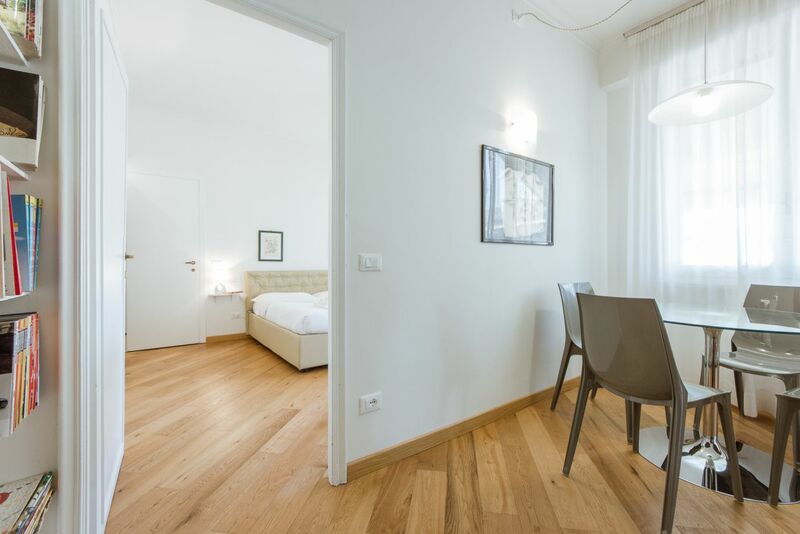 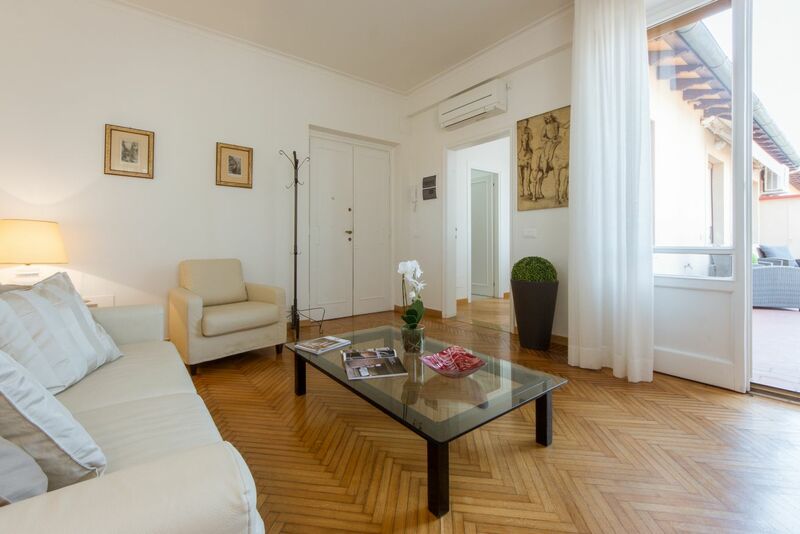 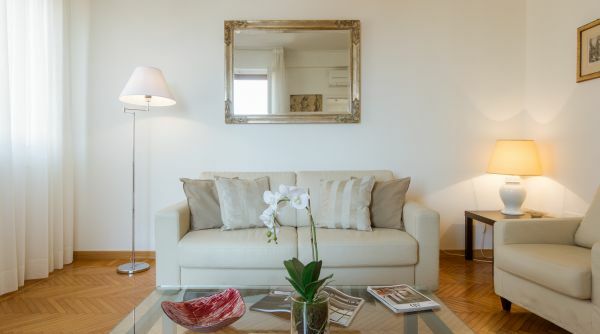 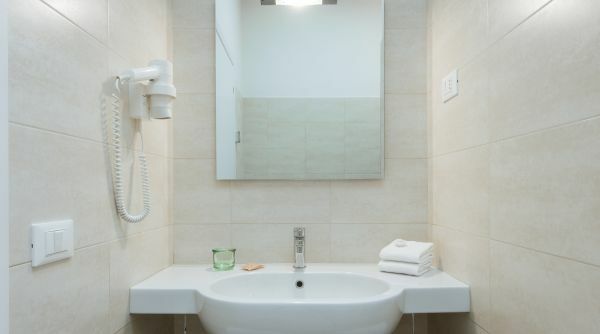 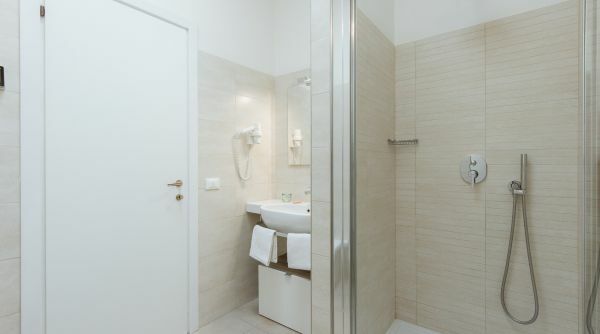 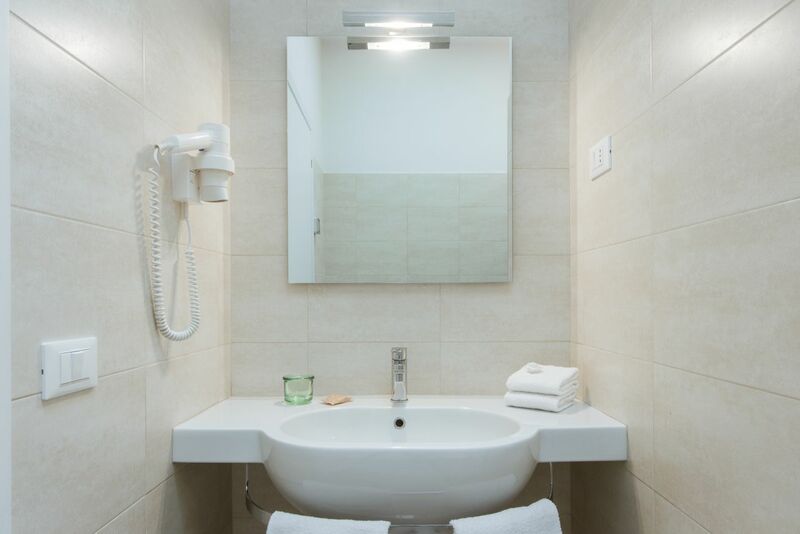 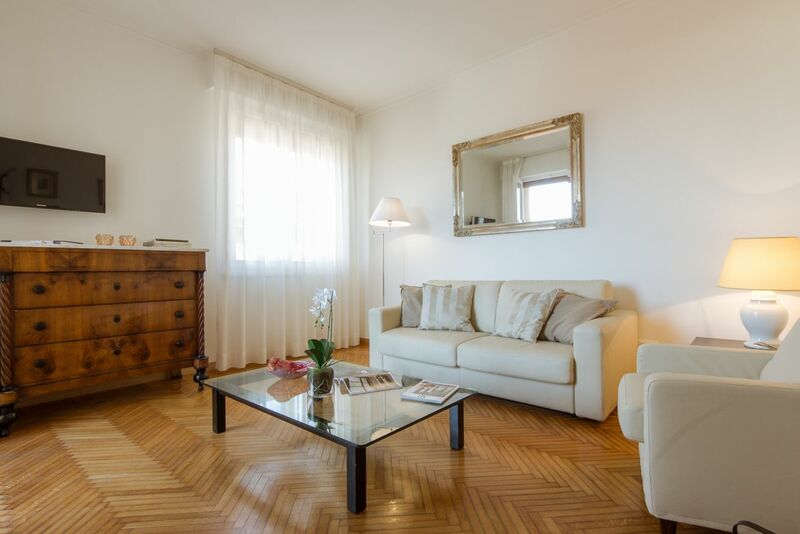 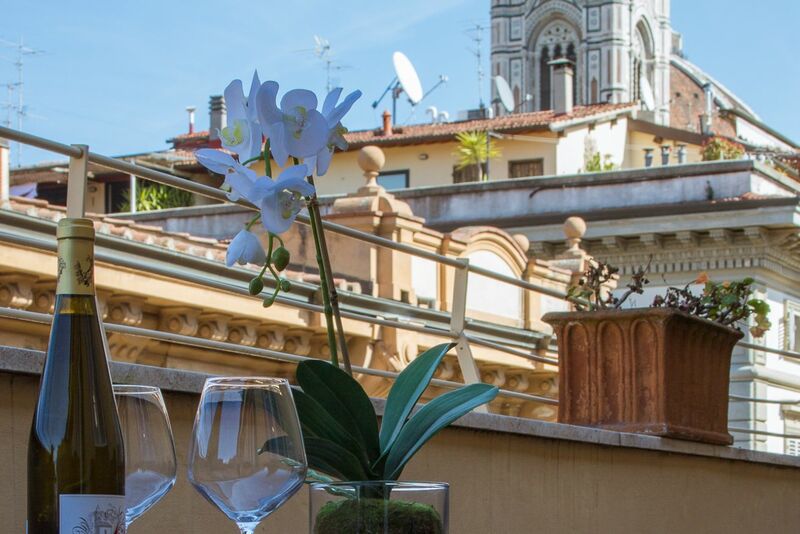 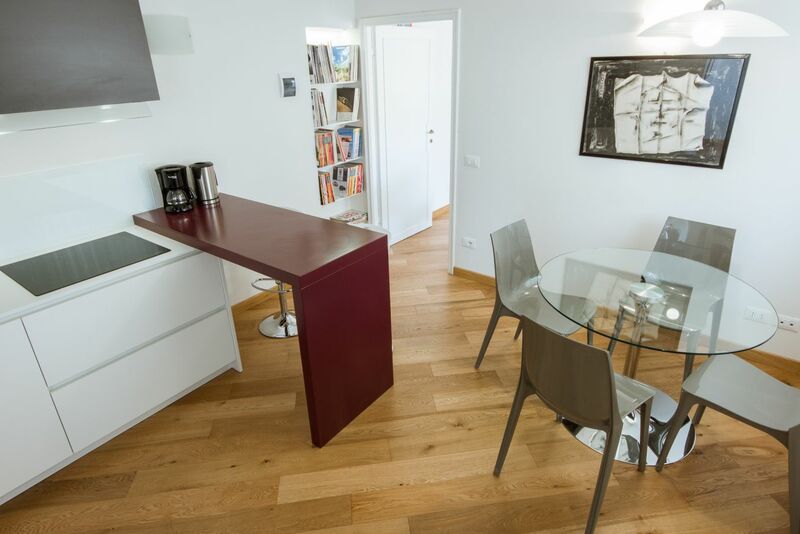 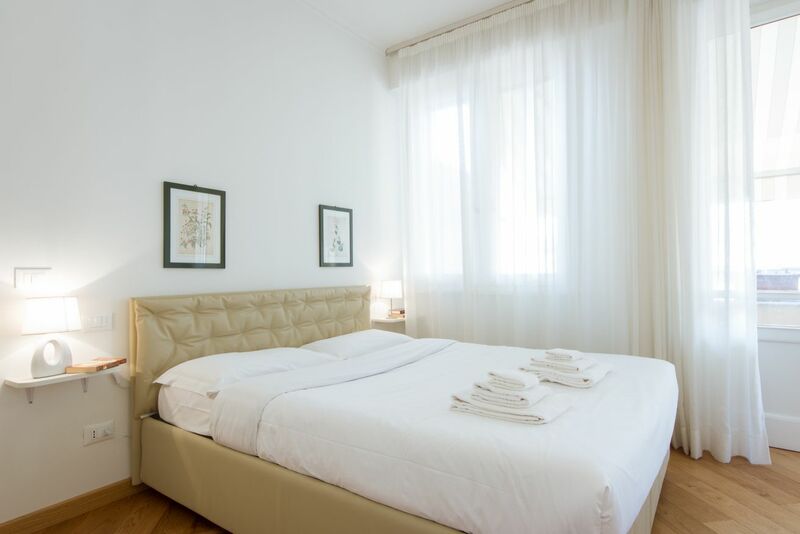 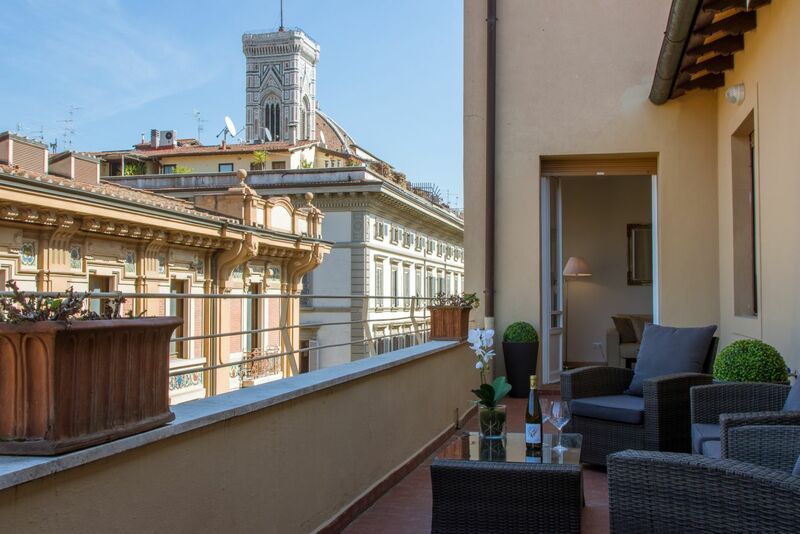 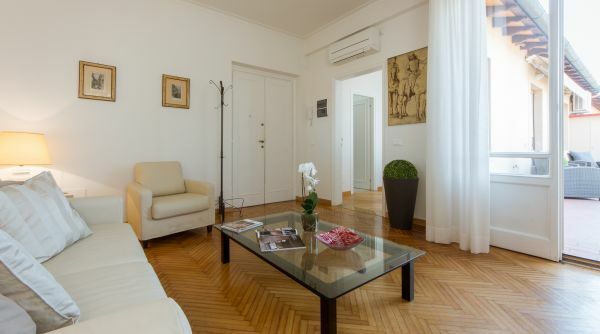 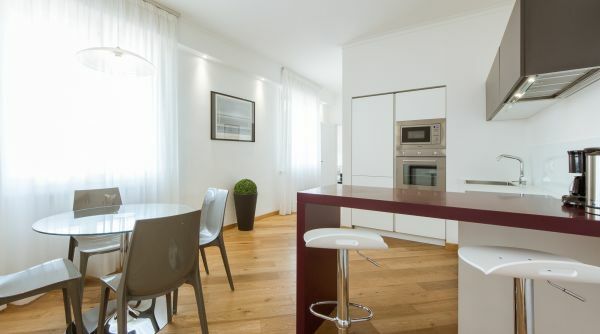 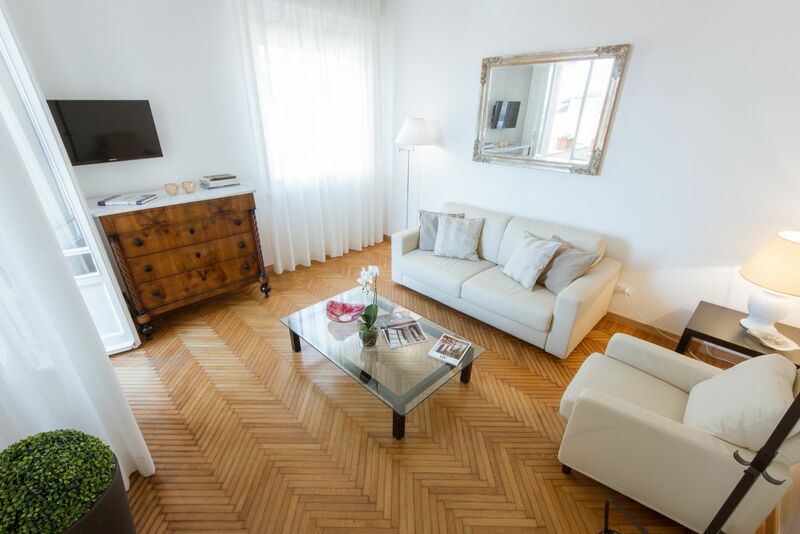 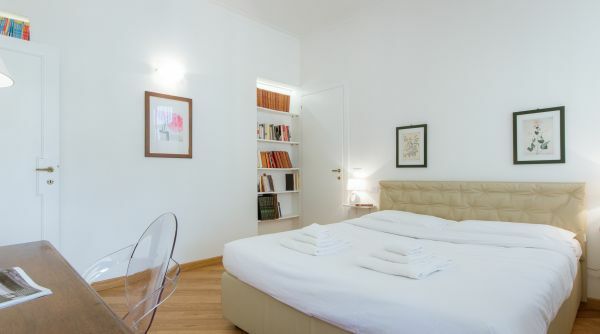 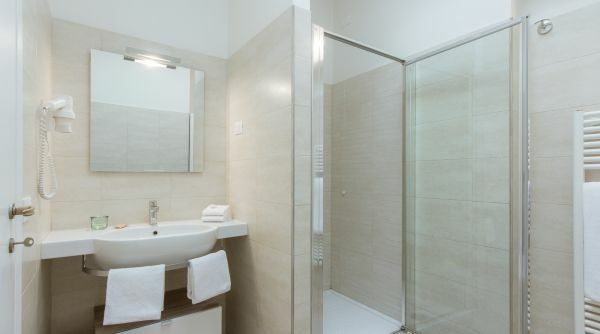 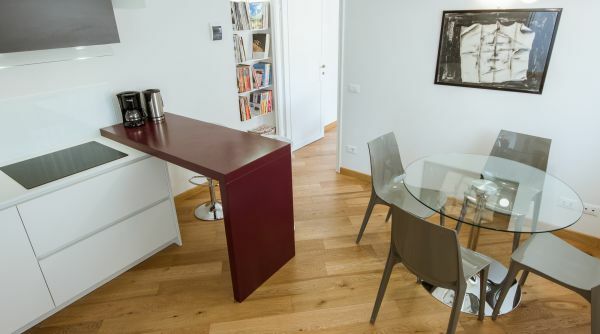 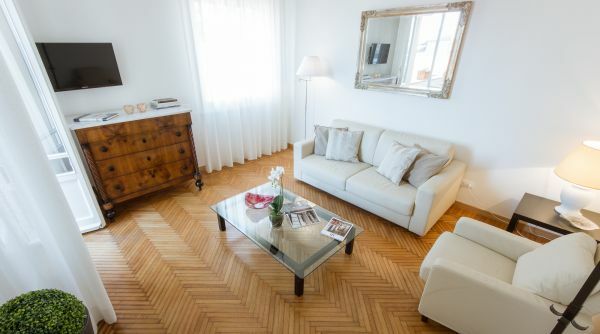 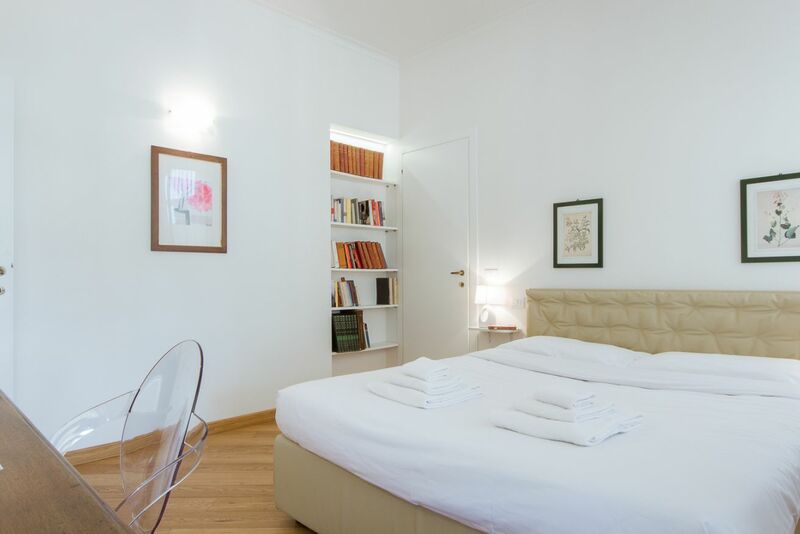 For larger parties, please note that this apartment is located in the same building as our Brunelleschi 1b apartment.